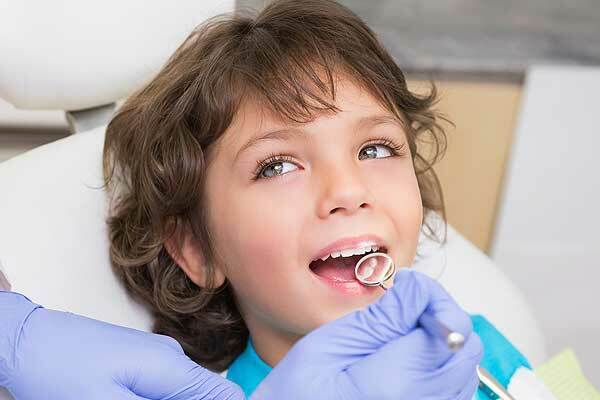 Your child's overall health and wellness rely upon good dental health. This is why it is best for a child to be introduced to visits with their West Hollywood holistic dentist as early in life as possible. When going to the dentist starts early, your child will understand that this is a normal part of healthy growth and development. They will also not have the fears many people have into adulthood. These dental visits should start before your baby's first birthday. Many children are afraid of visiting the dentist. But you can help control this fear by not talking about dental visits as something to dread or fear. If you are positive and upbeat about visiting the children's dentist at West Hollywood Holistic and Cosmetic Dental Care, your children will be more positive, too. Encourage the child by talking about how much going to the dentist helps them grow big and strong, with healthy teeth for a bright smile and comfort when they eat their favorite foods. While at the dentist, the caring and compassionate staff of professionals can help your child feel welcome, relaxed and confident. Everyone at West Hollywood Holistic and Cosmetic Dental Care wants your child to know the staff looking forward to seeing him or her with each visit. Dr. Bruce Vafa has been treating young children for over 25 years. His experience and skill in pediatric dentistry mean your child will always be kept informed about "what happens next" and what to expect from their own dental care. Dr. Vafa and the other professionals of the team explain what they do, how it will be done and what can be expected as results. This is called the "Tell-Show-Do" method. It is very helpful in preparing children for their dental treatment experience and helps them gain confidence in knowing what is going on as the dentist or hygienist works. By taking your child to the dentist from the earliest possible time in their life, you give your young one an advantage in oral health. The dentist is able to catch problems early and may be able to correct things before they lead to bigger problems that require the specialized care of an implant dentist in adult years. The dental staff can also help you guide your child in proper brushing and flossing. These skills will provide a lifetime of good oral health. If your child must undergo procedures or treatment that is uncomfortable, there are options for helping your child get through these visits without pain, stress or discomfort. When your child is able to visit the dentist without fear, tears or tantrums, these appointments will be much easier on you, too. So it is always best to work with the dental team to make going to the dentist as positive as possible. Your baby's first teeth will appear through his or her gums sometime between the ages of six and 12 months. These baby teeth, also called primary or deciduous teeth, will continue to emerge through age three. Many parents are familiar with how babies tend to drool heavily as teeth are starting to come in. Other indicators that your baby is reaching these milestones in development include irritability, tenderness along gums, frequent chewing on objects or your finger and other behaviors. To help treat your baby's sore gums, you can provide one or several things that may soothe his or her pain. A cold damp cloth can be run along the gums to help numb the area of the new tooth. You may also rub a clean finger on the sore spots. Teething rings work great, particularly those that may be chilled for greater relief. When all of this teething has run its course, your child will have 20 new teeth. Just as your child has a mouthful of pearly whites, he or she will start shedding them to make way for adult permanent teeth. About three years after your baby's last new tooth erupts, these starting becoming loose and falling out. From age six to 21 years adult teeth will erupt to take the place of deciduous ones. As an adult, your child will have 28 to 32 teeth. With each new tooth, you will play a bigger role in ensuring your child has a healthy start with his or her oral health. You should keep looking for signs of problems, examining the teeth every two weeks to see if any changes, lines or discoloration have appeared. Lines and changing colors may be sign of decay in these young teeth. Babies should not be provided with a bottle in bed, as sleeping with milk or other fluids in their mouth can cause decay. Consuming sugary foods and beverages is also harmful to your child's teeth. Always be sure that your child brushes his or her teeth after eating, or you may do this for them if they are too young to brush their own. Young children should brush four times daily for the best oral health, once after each meal and before bed in the evening. The more you encourage healthy oral habits, the better health your child's teeth and gums will benefit. Make tooth brushing and flossing a fun activity by using a soft bristled toothbrush and a pea-sized amount of non-fluoride toothpaste. After the age of two or if other conditions exist, your dentist may advise for your child to start using fluoride toothpaste. Do not forget to show your child how to floss, when your dentist says it is time for them to do so. Anytime you see color changes or signs of decay in your young one's mouth, you should contact your West Hollywood holistic dentist for an appointment. Your child is never cctoo young for his or her first appointment at West Hollywood Holistic and Cosmetic Dental Care. In fact, the American Academy of Pediatric Dentistry (AAPD) advises that children should visit their dentist no later than six months after their first tooth comes in or by their first birthday, whichever is sooner. If your child is older than this and has yet to see a West Hollywood dentist, you should make an appointment to start better oral health care as soon as possible. Your child's first visit to the holistic dentist will be relaxed and easy. The objective of the first visit is not to perform treatments, so much as to help your child get to know the dental team and make him or her comfortable in the dentist's office. This is a very friendly and non-threatening visit. By enjoying their first dental appointment, your child will fear others less. Of course, the first West Hollywood pediatric dental visit for your child is also an opportunity for you to get to know the West Hollywood Holistic and Cosmetic Dental Care team, too. You will probably have questions of your own and this appointment is a great time to start getting the answers you need. The dentist may also discuss whether X-rays are needed, types of treatments your child will receive in the coming months and other topics to help you plan for your child's oral health appointments. Before the first dental visit, try to create a positive atmosphere for your child. Do not scare him or her by talking about the dentist as if treatment is painful, dreaded or something to dislike. A large part of fear in dental patients is the fear of poor treatment. But Dr. Bruce Vafa has specialized in pediatric dentistry for well over 20 years. So he, and the entire professional team of West Hollywood Holistic and Cosmetic Dental Care, know how to work with your child to provide the best possible outcome for all of his or her appointments. The first visit will likely involve a check by the dentist for tooth decay, alignment of the bite and any problems with the jaw, gums or oral tissues. One of the friendly dental hygienists will get to know your child, too. That hygienist may then clean your child's teeth and provide fluoride, if it is needed. Remember to bring your insurance information and completed patient forms to your child's first dental appointment. There is a serious myth that many parents believe, that primary teeth are unimportant since they will soon fall out, anyway. It is true that primary teeth, also known as baby teeth, do fall out before the teen years. But these teeth serve many very important purposes. One of the biggest roles of primary teeth that affects your child's adult smile is that of correctly guiding positioning of permanent teeth as they are formed. The primary teeth are like placeholders for these permanent ones that will replace them. So it is very important that your child's primary teeth are well cared for throughout the early years of life. Other purposes for primary teeth include eating, facial appearance and speech. Primary molars are the last to be lost from your child's baby teeth. These are in the back of the mouth and are very important for chewing of food until they are replaced by permanent molars at about age 12. All primary teeth may be affected by cavities when children consume too much sugar or fail to brush and floss as they should. Neglect of baby teeth can cause pain, infections, difficult dental treatments and that fear of the dentist that could affect your child throughout his or her life. When teeth are lost or must be extracted too early, this can cause the permanent tooth to become overcrowded or misaligned. Finally, West Hollywood primary tooth care is an important learned skill. By learning to care for his or her teeth at a young age, your child is more likely to enjoy good oral health for a lifetime. So do not underestimate the importance of your child's baby teeth and early dental checkups. By starting a healthy routine of West Hollywood children's dental visits from a young age, you are providing your child with the best chance for a healthy, engaging smile. The term "eruption sequence" sounds threatening. But it is, in fact, a healthy process of tooth growth due to your child's growth and development. Each new primary tooth, also known as a baby tooth or deciduous tooth, marks another step toward your child's first full smile. Primary teeth start to grow in, erupt into the mouth, at some point between six months and one year of age. Your child may be cranky during this time and may have sore, tender gums. There is often drooling in babies who are teething, as well. To help them get through tooth eruption more comfortably, try using cooled teething rings designed for babies. You may also rub a clean finger on the gums gently or use a cool, wet washcloth to relieve the sore spots on the gums. Then, each loss of a healthy baby tooth marks arrival of a new permanent one in its place. The loss of a primary tooth is an exciting time for many children who see it as a step of "growing up." This is why many cultures celebrate the loss of primary teeth through the rituals of the mythological tooth fairy. A dental emergency can happen anytime, particularly in childhood. When your child has a dental emergency like an aching tooth, knocked out permanent tooth, or a cut or bitten tongue, lip or cheek, you can rely upon the caring dentists of West Hollywood Holistic and Cosmetic Dental Care. Clean the area of the tooth that is causing your child's pain. Have them vigorously rinse their mouth with warm water. You may also use dental floss to try to remove any debris or food that may be impacted and causing the irritation. If your child still has a toothache, call West Hollywood Holistic and Cosmetic Dental Care for an appointment. Do not apply aspirin to the aching tooth or surrounding gums. If your child's face is also swollen, use a cold compress like a bag of frozen peas, a covered ice pack or a cold damp rag to apply cooling relief to the swollen region. If your child's permanent tooth is knocked out, find the tooth. Pick it up and handle it very carefully by the crown, not at the root. Avoid cleaning or over-handling the tooth, except to rinse it in water. Remember to not touch the root. If the tooth has no fractures and is sound, you can try to place it into the socket from which it was dislodged. Your child can bite down on a piece of gauze or other material to hold the tooth in place. If it cannot be placed back into the socket, put the tooth into a small cup, immersing it in your child's saliva or milk to preserve it. For older children, the tooth may be carried in their mouth – remembering that they need to be careful to not swallow it. Time is of the utmost importance in saving a tooth, so get your child immediately to the dentist. Use ice to reduce pain and swelling of the affected area of your child's mouth. If the wound is bleeding, apply the gentle but firm pressure of a clean cloth or gauze. If bleeding continues for more than 15 minutes or is uncontrollable using pressure, take your child to a hospital emergency room. Call West Hollywood Holistic and Cosmetic Dental Care to discuss the injury with dental office staff, to determine whether your child needs to be seen by the dentist. Each child is unique, so West Hollywood Holistic and Cosmetic Dental Care has a wide array of options for helping your child comfortably get the dental treatment he or she needs. Dental behavior management is the process of helping your child feel relaxed and confident while dental treatment is being provided. It is also designed to help your child cope with the dental treatment being received, while that treatment is conducted as safely and quickly as possible. To help with West Hollywood dental behavior management of your child, there are some options available for you to consider. Together with your West Hollywood holistic dentist you can decide upon the most effective methods of treatment that will keep your child safe, comfortable and in good oral health. Tell-Show-Do is the process of the pediatric dental team explaining the dental treatment to your child in words he or she can understand. They then show your child how the treatment will be performed. Finally, the treatment is conducted according to what was explained to your child. Through ongoing praise for his or her helpful behaviors during treatment, your child will feel more positive about being in the dentist's chair. In this method, the dental team is very discreet in use of instruments or words that may alarm your child. The team may also use distracting methods of conversation, music or games to pull your child's attention away from the dental treatment being performed. Use of soft tones and repetitive speech can also soothe your child when all is going well, whereas a louder tone may be used to prevent the child from risk of harm, such as if he or she reaches for a sharp instrument. Topical anesthesia can be applied to the surfaces of your child's mouth to prevent pain or a local anesthetic like Novocain may be injected for dental treatments. The numbness provided by these means may last several hours. During that time, the child should not consume hot food or liquids and they should be monitored to ensure there is no accidental self-injury. Particularly anxious children often respond better when safe nitrous oxide or oxygen analgesia is used. This use can make long dental treatments much easier for your child to bear and helps the dental team more efficiently achieve their treatment goals. Your child will remain fully conscious after having nitrous oxide or oxygen analgesia and will recover very quickly after treatment. Children who have nasal congestion or will not breathe through their nose may not benefit from use of this method. There are times that some children may need to be physically held or restrained by the parent or guardian during dental treatment. A body wrap called a pediwrap can be effective in holding your child's arms and legs, while also providing soothing security much like baby bunting does for infants. Restraint is used only after all other methods have been considered, for the child's own safety and only with the permission of the parents. IV sedation puts the child into a medically induced sleep. This is effective for very young children who need an extensive amount of dental treatment, or those unable to communicate or cooperate with the dental team. This can be the best method to ensure dental treatment is well provided and the child is not traumatized, especially when a child with special medical or development needs is being treated. IV sedation for children at West Hollywood Holistic and Cosmetic Dental Care is only provided by highly qualified anesthesiologists after benefits and risks are discussed with parents. Accidents happen frequently in childhood, particularly during sports play or other activities. In such activity, your child may injure a tooth in a fall, running into something or when being hit by an object. Or, their tooth may be injured through a cavity due to diet or from poor oral health care. When your child suffers traumatic injury to a tooth or has a cavity, that tooth may need pulp therapy. Pulp therapy treats the pulp of the tooth, the part containing nerves, connective tissue, blood vessels and reparative cells. The therapy is designed to keep pulp vital and as healthy as possible, so your child does not lose that tooth to decay. You may have heard pulp therapy called different names, such as a children's root canal, pulpotomy, pulpectomy or nerve treatment. Pulp therapy actually consists of two different therapies, one known as pulpotomy and the other being pulpectomy. Pulpotomy is the removal of diseased pulp tissue by the West Hollywood holistic dentist from within the crown of your child's tooth. An antibacterial agent is applied to the tooth, also calming nerve tissue. A crown or other restoration of the tooth's surfaces is then provided, such as a stainless steel crown. Pulpectomy is a procedure in which the holistic dentist removes the entire pulp of the affected tooth. All diseased tissue is removed from the crown, extending into the root. The tooth is then cleansed, disinfected and filled. Primary teeth are filled with resorbable material, whereas permanent teeth are filled with non-resorbing material. When your child suffers injury or cavities in teeth, there is no need to worry if they are a patient of West Hollywood Holistic and Cosmetic Dental Care. 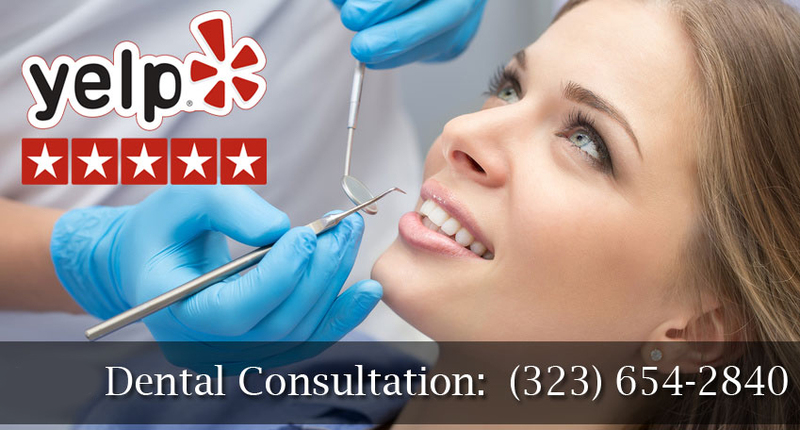 Their smile is in great, caring hands with the expert skill that only a cosmetic dentist can provide. Pediatric partials are cosmetic devices that restore your child's teeth for greater self-confidence and proper functioning before permanent teeth have grown into place. There are many reasons why a child may need to visit a cosmetic dentist. But perhaps the greatest of these is for your child's well-being, positive self-esteem and healthy development. Appearance is always important to a child. But for their healthy growth, a pediatric partial can help them chew properly and eat foods that make their body strong. Having a pediatric partial placed by West Hollywood cosmetic dentist Dr. Bruce Vafa can properly guide the permanent teeth into the proper position, so that new tooth appears as it should. Pediatric partials are temporary solutions to childhood tooth damage. Seeing that your child is not as happy or carefree as he or she was before lost or damaged teeth can be reason enough to have a pediatric partial installed. Add to those personality changes their need for good long term dental health and it is clear why many parents choose pediatric partials. West Hollywood pediatric partials are installed by your child's cosmetic and holistic dentist. Your child will go to the dentist for a baby teeth removal process, taking out the damaged tooth or teeth to make room for the partial. A mold of his or her mouth will be made so the lab can custom craft a pedi-partial that fits perfectly. Another dental appointment will be scheduled for the fitting, minor adjustments, comfort check and cementing of the partial into place. A skilled implant dentist like Dr. Bruce Vafa of West Hollywood Holistic and Cosmetic Dental Care can perform this installation seamlessly, so your child leaves the office with a beaming, proud smile. As your child continues wearing the partial until permanent teeth start to come in, dental visits will continue to ensure the partial and surrounding oral tissues are in good shape. It is just as important to take good care of the partial, as it is to care for natural teeth. Plaque must be removed routinely by the dental hygienist to prevent gum infection, just as for real teeth. Daily brushing and attentive care for tissues around the partial should be practiced and ensured by parents. Partials are a wonderful solution to your child's temporary tooth problems. With proper care and visits to Dr. Vafa's West Hollywood dentist office, partials can help keep your child's development on the right track. Children's bruxism, also known as teeth grinding, is often a concern of parents. When a child is grinding his or her teeth, it is often due to stress, such as living in a new environment, divorce, school issues, or other problems. The noise of tooth grinding is often what makes parents aware that it is happening. Other parents notice their child's teeth are getting shorter due to the grinding of children's bruxism. Most children's bruxism goes away on its own. But if the teeth are being worn down by the grinding, a nighttime mouth guard can help your child stop this destructive wear. There are negative sides to using a mouth guard, so it is a decision that must be made with some consideration. Those negatives include a choking hazard and interference of jaw growth. But the appliance does prevent wear to the primary dentition of teeth. Most children reduce bruxism as they age, usually between the ages of six to nine years. By twelve years of age, the grinding is usually no longer an issue. Each child is different, so if yours is experiencing bruxism you should talk to your holistic dentist for some guidance and options. The holistic and cosmetic dentist will evaluate the child's behavior, health history, special needs, dental needs, treatment types, stage of development and your preferences in making recommendations for West Hollywood children's bruxism treatment. Together with your children's dentist of West Hollywood Holistic and Cosmetic Dental Care you can figure out why your child is experiencing nighttime bruxism and how to best treat this behavior. Dr. Bruce Vafa has more than 20 years' experience in providing pediatric dental care and his knowledge and treatment can help your child work through this sleep behavior for better oral health.